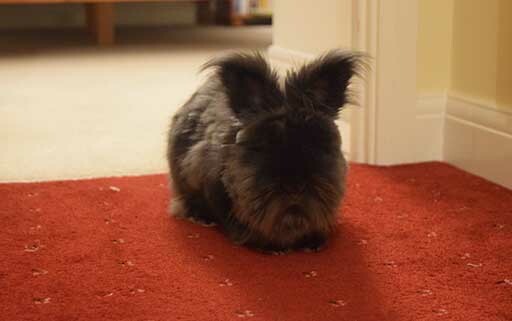 Angoran rabbit Mollie wins Pet of the Month for February! 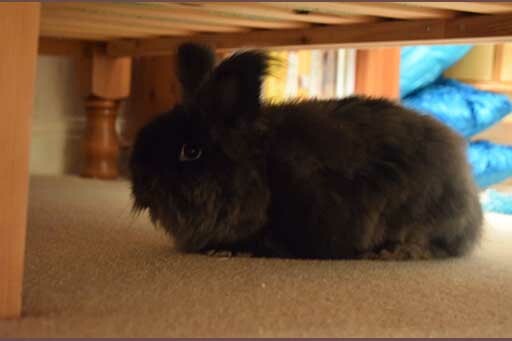 This was indeed a very worrying time, because not only was Mollie not eating and in gut stasis, but she was passing nasty bloody diarrhoea, which is a very bad sign in rabbits. 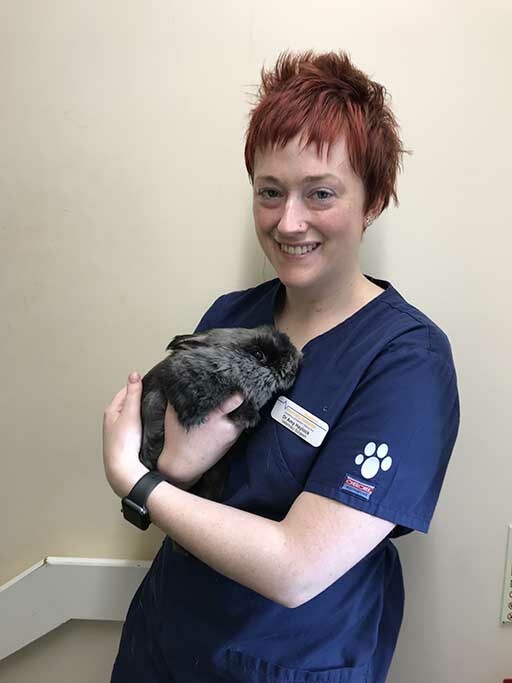 Mollie spent the rest of that week in ‘Bunny Intensive Care’ with us at Quantock Veterinary Hospital. This involves syringe feeding and medications, with eating and faeces checks every few hours, and is very intensive, as the name suggests! 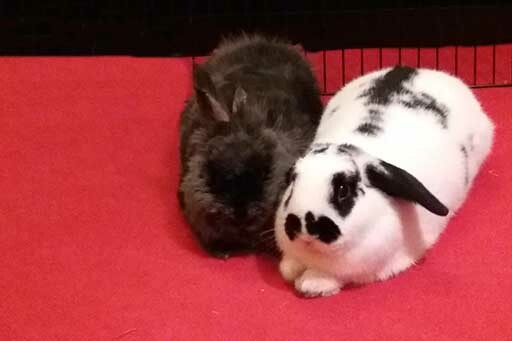 After a few days she seemed to show some signs of improvement, eating small amounts and looking a bit livelier so at the weekend her owners brought her home in the hope that she would continue to make progress in her own surroundings with her bunny friend Jeremy. Unfortunately this wasn’t the case, and they had to bring her back for further investigation. Molly had been eating newspaper, card and carpet at home, which Amy was suspicious had caused the caecal impaction. The surgical prognosis for this condition is very poor, so a last ditch effort to clear the impaction was tried, which was laxatives and paraffin. Miraculously, the impaction shifted the next day, with Mollie passing a huge amount of something horrible, which we assumed was the impacted material, although we couldn’t recognise what it once might have been! 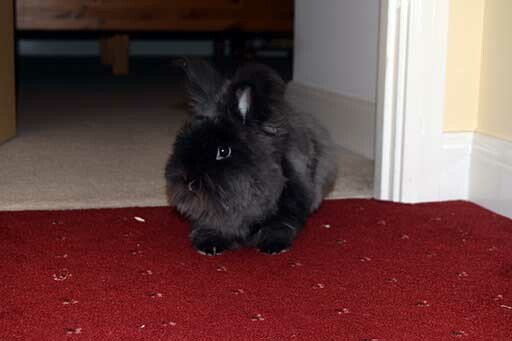 Since that time Mollie – who can be very timid but has a naughty side and loves to chew things, especially the sofa – has never looked back, eating well, putting on weight and getting up to mischief with Jeremy when they are let out to run around the house in the evenings. “Amy has since told us that she had cleared a space in her diary to put Mollie to sleep. On that same morning, she started eating for the first time in 10 days, so all in all, to have her back with us seems like a miracle. Congratulations Mollie! You so deserve to be February’s Pet of the Month!